NEW YORK, July 12, 2018 /PRNewswire/ -- Ripley's Believe It or Not! 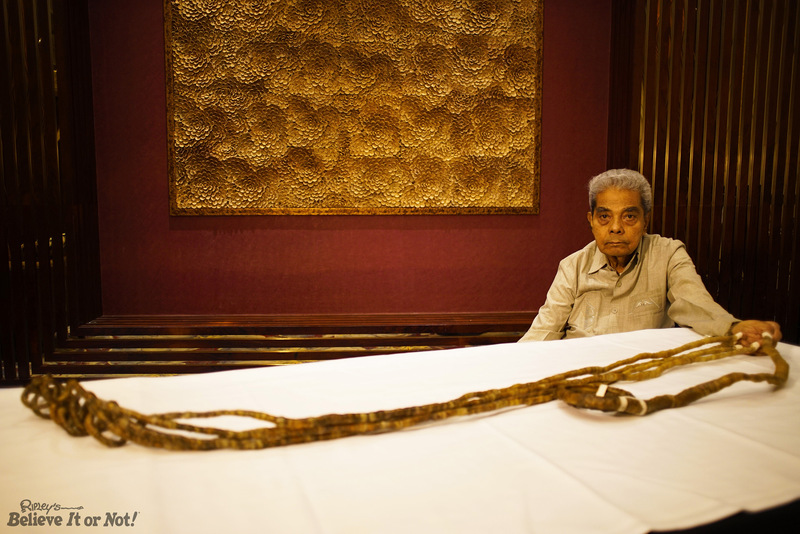 Times Square unveiled the fingernail exhibit of Mr. Shridhar Chillal of Pune, India, who had not cut his nails since 1952. Embarking on his journey as a young teenager, he has grown his nails for 66 years. 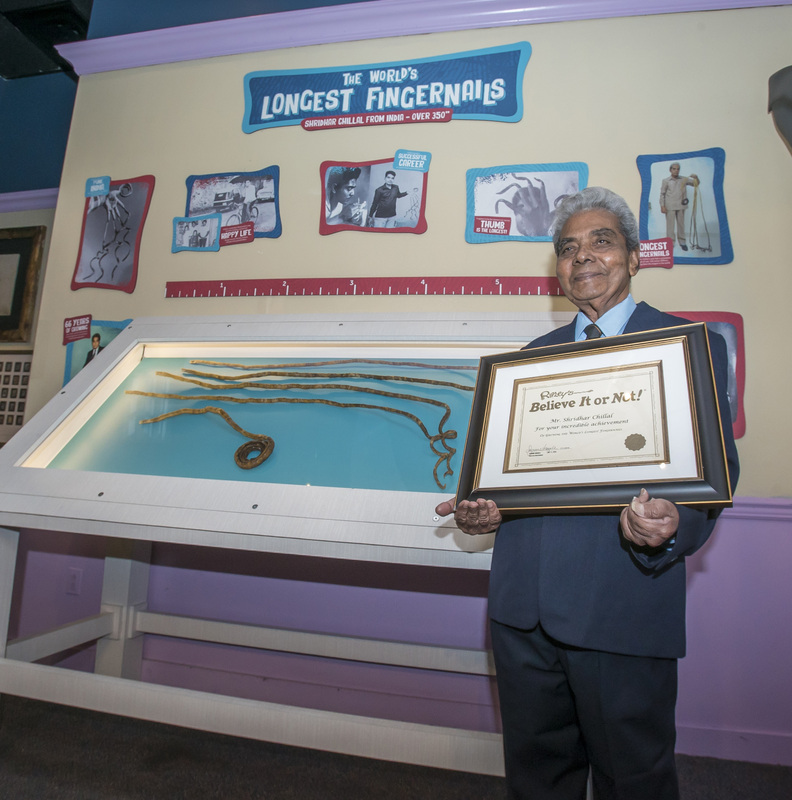 At age 82, he will be memorialized as having the longest fingernails in the world. Chillal decided to grow his nails when he was scolded by his school teacher as a result of accidentally breaking the teacher's long nail. The teacher said that Chillal would never understand the importance of what he had done because Chillal had never committed to anything. "I took it as a challenge," said Chillal, and there was no looking back. "Ripley's is privileged to display this truly unique and one-of-a-kind exhibit. Mr. Chillal dedicated his life to something truly remarkable, and Ripley's is the perfect home to honor his legacy. While he may have cut his fingernails, he will be forever memorialized inside Ripley's Believe It or Not! Times Square." - Suzanne Smagala-Potts, PR manager, Ripley's Believe It or Not! Mr. Chillal's unusual choice didn't stop him from leading a normal and happy life. He married, has two children, three grandchildren and enjoyed a successful career as a Government Press Photographer. However, as he aged, his long nails were proving more challenging to maintain an ordinary lifestyle. He found it difficult to sleep, and even a gust of wind was cause for alarm. Believe it or Not! 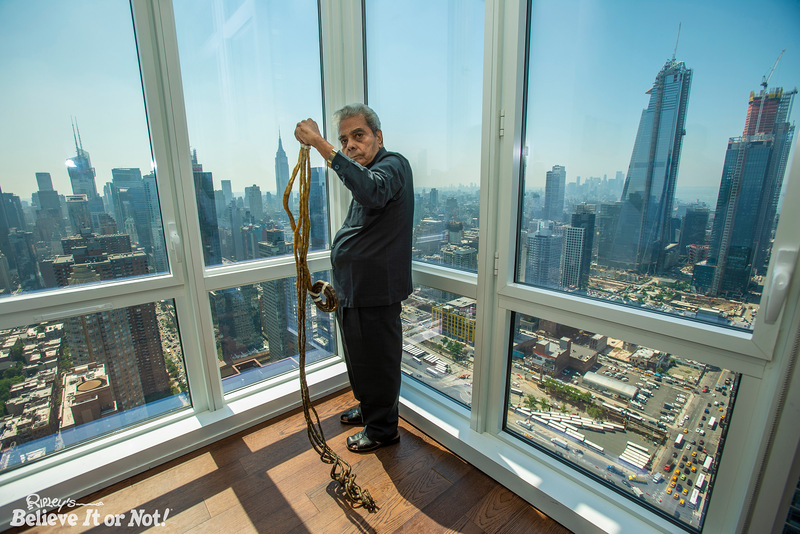 - if his cut fingernails were laid flat, they would span a length of over 30 feet, the height of a three-story building. He only grew the nails on his left hand. His right hand's nails are trimmed. Due to years of growing his nails and the weight of the nails, his hand is permanently handicapped. He cannot open his hand from a closed position or flex his fingers. Media assets can be downloaded here: www.ripleys.com/fingernails. These assets are allowed to be used for editorial purposes. No resale. No archive. No new use after Aug. 11, 2018. Must include on-screen courtesy "Courtesy of Ripley's Believe It or Not!®". The Ripley's Believe It or Not! 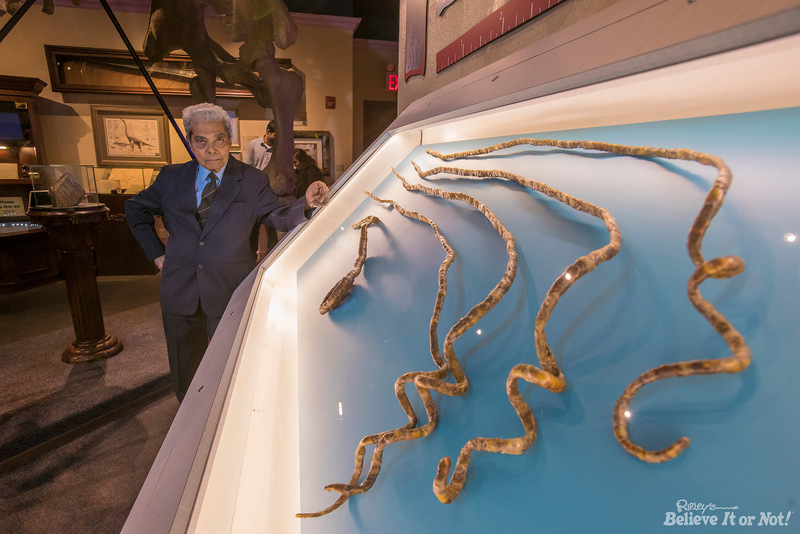 Times Square museum features 20 galleries and more than 500 artifacts from around the world. For more information about Ripley's Believe It or Not! Times Square, please visit www.RipleysNewYork.com. For more on Ripley's Believe It or Not!, please visit www.ripleys.com. SOURCE Ripley's Believe It or Not!